The Nigerian Senate has put off its plan to reconvene on Tuesday, January 29th. The Senate had earlier adjourned till 19th of February to enable members prepare for the presidential and National Assembly elections coming up on the 16th of February. 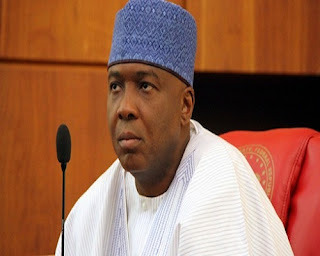 Indications, however, emerged that the Senate would reconvene on Tuesday as an aftermath of the suspension of the Chief Justice of Nigeria, Justice Walter Onnoghen. The Clerk of the Senate, Mr. Nelson Ayewoh, said in a statement signed by him on Monday evening that the planned resumption of plenary has been put off till the earlier date of 19th February. Though Ayewoh did not give reasons for the cancellation, there are indications that the Senate decided on it after it resolved to approach the Supreme Court for the interpretation of the suspension of the CJN. The Senate is praying the apex court to determine whether President Muhammadu Buhari acted within his powers by suspending the CJN or not.